Friday was our first full day in the field all week! 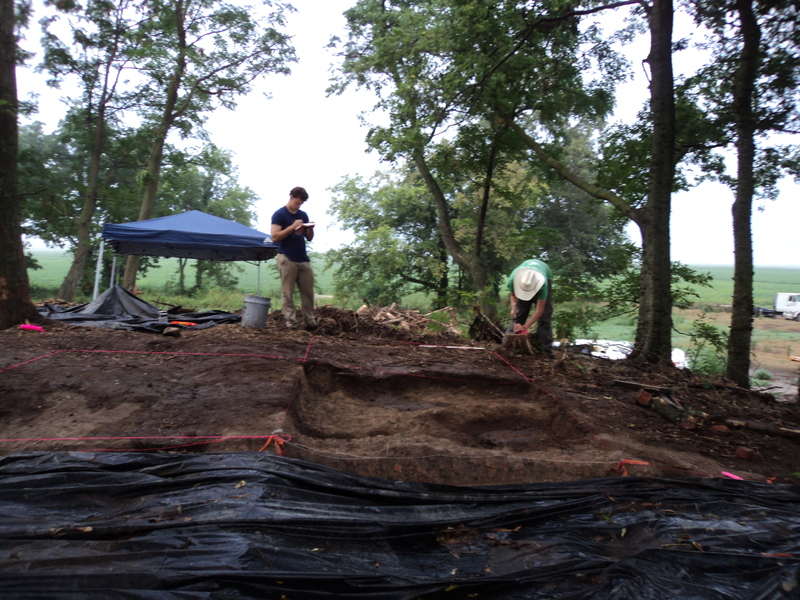 We’ve been plagued by rain, torrential downpours really, and its made working at the site very difficult, especially in the lower trench units I’m using to study the stratigraphy of Mound D, the pre-mound habitation, and the underlying geomorphology. A particular concern has been actually getting in and out of the site, since the road to mound D can get pretty when wet (if an F250 superduty can get stuff, my two wheel drive ranger has little hope). The rain has, however, brought significantly better temperatures –I’d say it’s been about 80 degrees during the hottest time of the day, as opposed to the 100 degree averages we were getting the first week. But the rain makes it hard to work, and we’ve only been able to focus on the operations targeting the summit structure we discovered the first week we were out there. So this week’s post will be limited mostly to summit excavations, and sediment coring and geophysical prospecting sponsored by the NRCS. Anyways, we now have units Tu9-14 open and we’ve found evidence for daub wall fall and house floor in most of the units. In the units where we don’t have house floor, there is still significant amounts of daub in the floor, and I think it’s fairly likely that we still have to remove some more sediment/daub to reach the house floor. In test units 9 and 10, we removed the daub fall, isolated the house floor, which appeared extremely compacted and fired, and found a clear distinction between the house floor and some staining that may turn out to be a wall trench. I was reticent to continue exposing the house floor until I could figure out its complete spatial extent on the mound D summit, so I decided to not remove any more consolidated daub/wall fall and instead to begin opening units adjacent to Tu8-10. In the units south of 8-10, we didn’t find as much continuous and consolidated daub/wall fall as in units 8-10 – there are small pockets of wall fall in the units, but unfortunately due to large tree roots, rodent burrows, and modern human disturbances, the consolidated daub/wall fall was not as well preserved in units 11-14 as in units 8-10. We ended the week in Tu14, which had a large tree fall right in the middle of it. 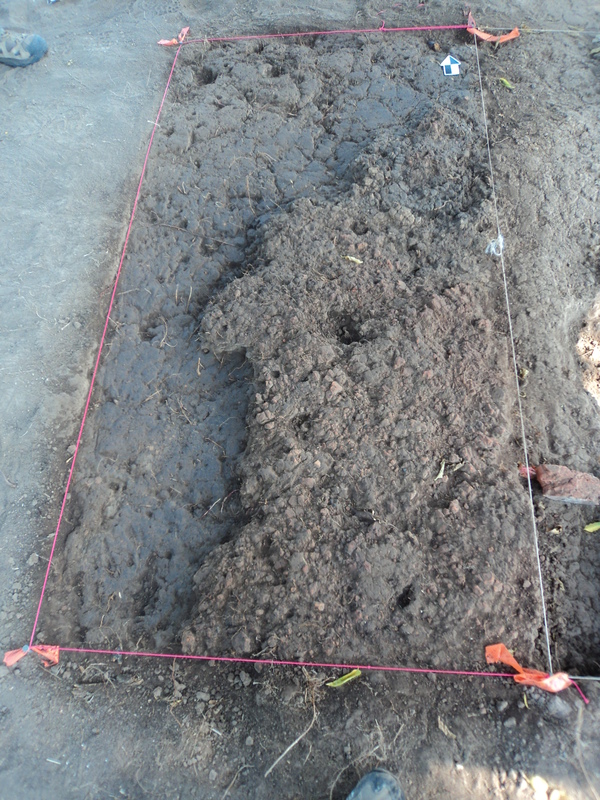 There were large pieces of daub with cane and matting impressions falling out of the root ball as well as large pieces of the partially oxidized and trampled house floor. In excavating the unit, we found the tree had chewed up most of the house floor and wall, but we still found it in a few places in the unit. Next week we’ll continue to expand spatially and hopefully begin to remove the rest of the consolidated daub. I plan to subsample the house floor on a 25 cm grid when it’s exposed and take samples for multispectral chemical analyses. I’m not terribly sure what to expect when I remove the house floor, but I really hope to find some pits full of ceramics nearby or under the house. We couldn’t have opened these units without volunteers from the Ole Miss field school, thanks to Jay and Jenna for offering their help! 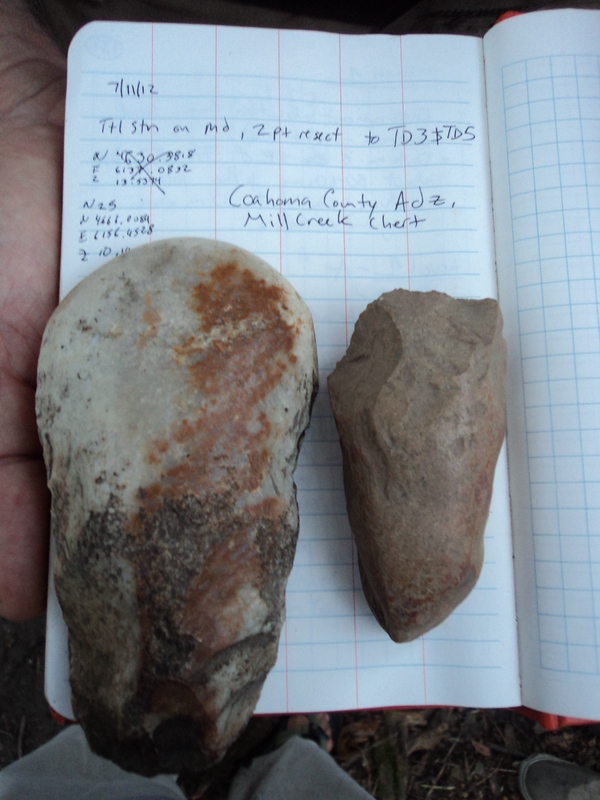 We also found a reworked adze in test unit 11 – below are pictures of the adze and some other examples of adzes found around Coahoma County. So we got started this week with sediment coring, a research program I started at the site back in 2009 to investigate the subsurface geology and evaluate the potential for buried sites in and around the Carson landform. We identified the landform back in 2009 and decided it formed from a high-intensity crevasse splay (a powerful incident of overbank flooding, often resulting in a natural levee breach) likely sometime during the end of the first millennium AD (I’m still waiting on OSL dates). 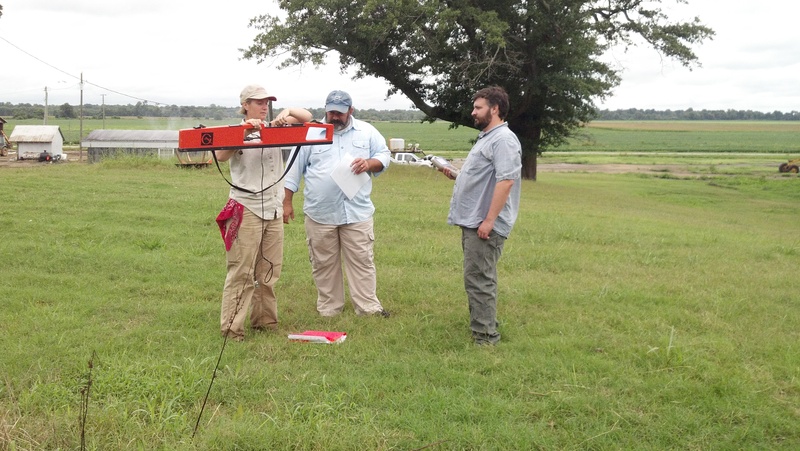 In this work, I need to thank Racheal Stout-Evans for all of her efforts at teaching me soils, running the coring rig, and helping me to understand the local geology. Thanks for everything Rachel and I look forward to our continued work out there! Over the past two seasons we’ve worked on several different questions related to geology and monument construction. Last year I focused on recovering enough data to establish the lithology between mounds C and D. Since I’ve been in classes and preparing for exams, I’ve only really had time for preliminary analyses – the image below shows a really rough depiction of the subsurface geology between mounds C and D, and it will be improved by taking a more detailed consideration of the stratigraphy within the soil types. 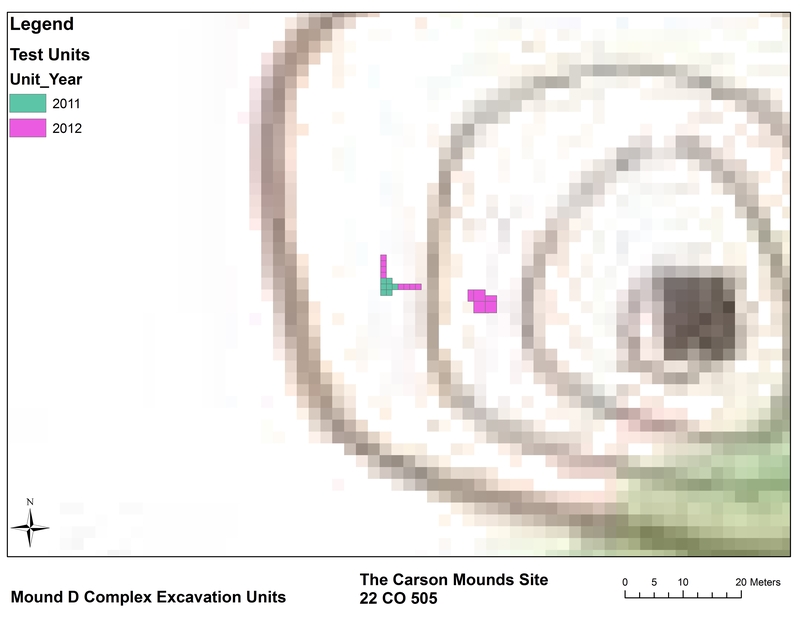 A preliminary cross section of the Mound D area based on 2011 cores. This year I’ll try to fill in the gaps and get greater detail on Mound D sediments. This year I’m planning on putting two sediment core transects across the mound, one E-W and another N-S – my plan is to establish a clear sequence of construction between my trenches and the sediment cores. 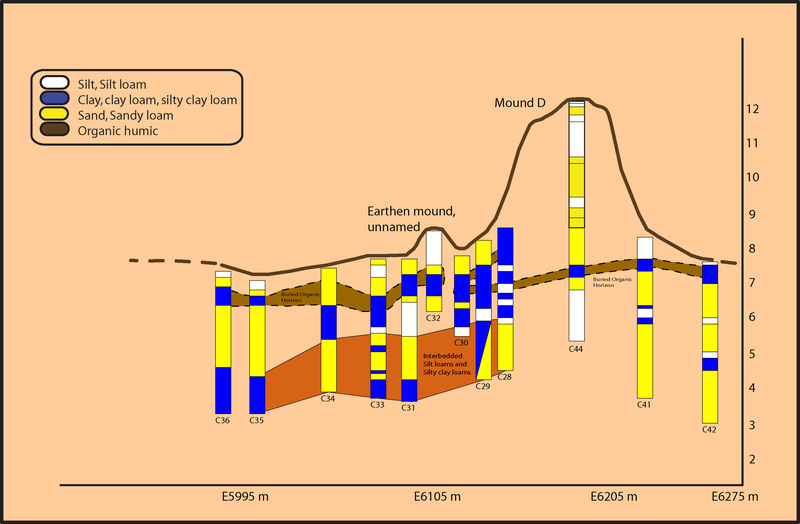 The stratigraphic sequence and down-hole magnetic susceptibility readings from two preliminary cores taken in 2009 indicate Mound D may have been constructed with as many as four stages or as little as two, and I hope the 2012 cores will help bring clarity to this issue. Part of the confusion is that sediment cores can make basket-loads look like floors or occupation levels, however, an actual compacted occupation level would be somewhat hard to confuse I think. Calibrating the Em38, Rachel Stout Evans, Cliff Jenkins, and Jacob (L to R). I’ll be brief about the geophysics work at Carson since we’re trying to make sense of it and because it has misled us in the past as well. My gratitude goes to Bryan Haley for all his efforts with the Bartington Flux Capacitor (well, actually I think it’s a gradiometer), and last week Rachel Stout-Evans, Cliff Jenkins, and his intern Joseph, all with the NRCS, came out to survey in and around Md D with an EM38, which is a conductivity and resistivity meter. 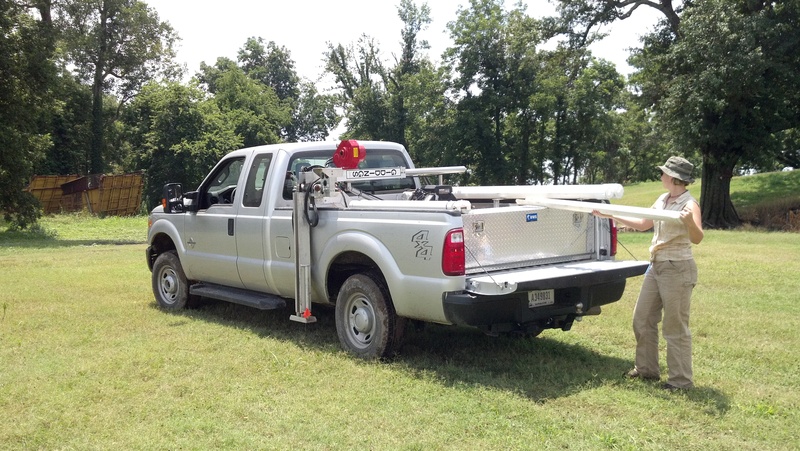 The instrument measures water retention in sediment and can have a variety of applications in the soil sciences. For my archaeological research, they were hoping to use the device to find anomalies in and around the mound summit. 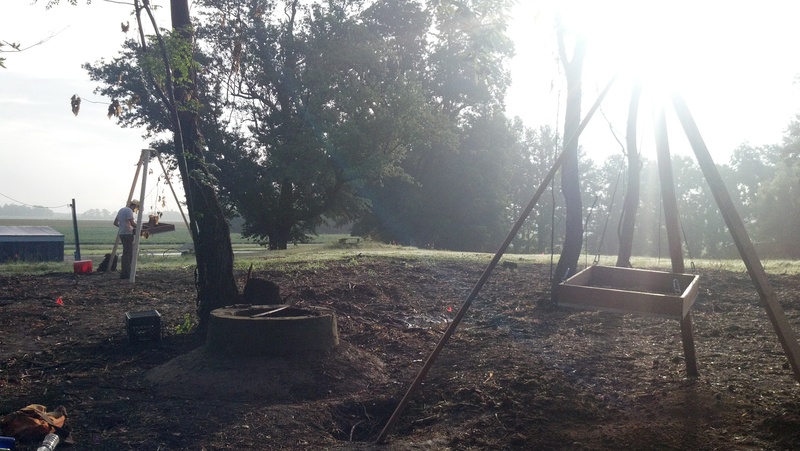 With the assumption that burned clay houses would disrupt normal water retention and that storage pits and posts would have differential retention from the surrounding matrix, we were optimistic that the Em38 survey would prove valuable. 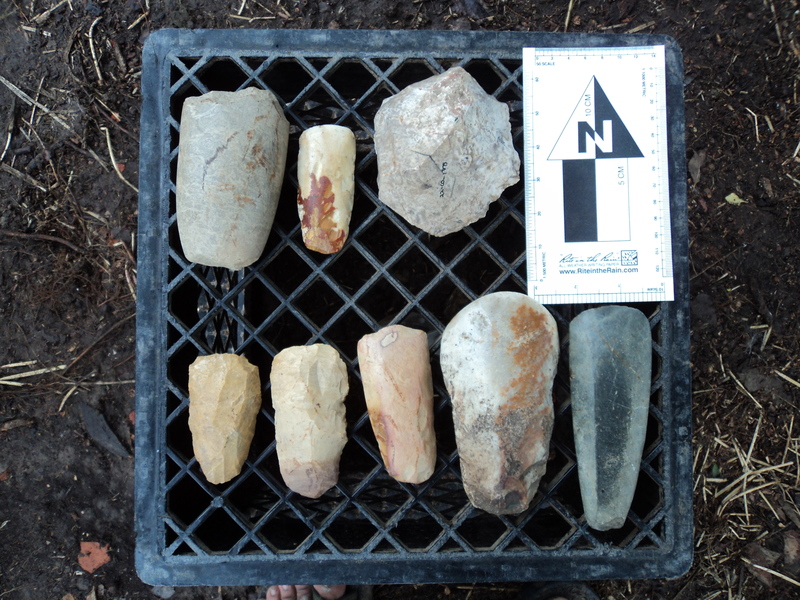 We did some quick processing in the field but I’m hoping additional processing and consultation with Bryan will lead to some exciting finds in the data. Anywhoo, that has been my life for the past week, enjoy the post, and help me direct the rain clouds away from the north delta by thinking good thoughts. Rachael’s brand new coring rig! 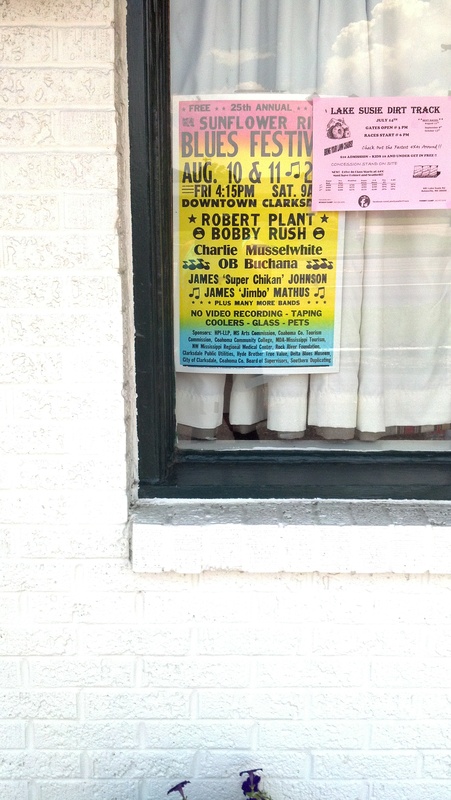 Btw, Robert Plant will be here in a few weeks, hammer of the gods!